problem, desire or goal that an individual wishes to fix with a supplement…This is both a positive and a negative. For those with a basic knowledge of supplements, they are able to take advantage of the large market. However, for those without this knowledge it is almost certain that they will either purchase a supplement that is not suited for them, that does little to help them, rips them off financially and may possibly even be doing them bodily harm. For this reason it is important to know what supplements are both healthy and beneficial for your particular situation. This article is aimed at helping to provide knowledge for teens looking to add supplements to their exercise and diet regimen. The best bodybuilding supplements for teens are those that produce results without doing damage to the body. It is also important to note that the supplements used by teens don’t have to only be beneficial for goals like muscle gain and weight loss. While these are the two main goals that teens interested in body building will have in mind, it isn’t necessary to only look for protein powders and fat burners. Supplements that help to improve overall health are just as, if not more beneficial to a teen body builder than those solely aimed at aesthetic goals. And with improved overall health, the aesthetic goals will become that much more achievable. As a teenager, your body already requires more fuel simply due to the natural growth process experienced at this time in your life. Add the intense weight training and often times, sport specific activities and your protein requirement is much higher than that of a sedentary adult. As a bodybuilder, you should know that protein is the most important macro-nutrient. Carbs and fats can often be manipulated whether trying to lose or gain weight, yet protein always stays high. While you should already be consuming adequate protein from your diet, protein powders help greatly to ensure you reach that daily protein intake. You are most probably aware of the small period of time directly after a workout in which it is advised that protein be consumed. This is where most people take advantage of protein powders. Having protein in a liquid form allows for faster digestion, meaning you put a halt to the muscle breakdown occurring post workout, as well as sparking the recovery (and growth process). The kind of protein powder you are after depends when you will use it. 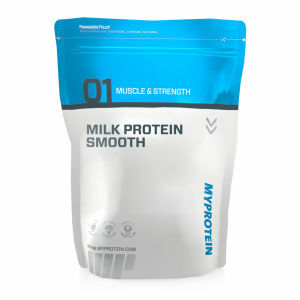 Whey Protein (particularly Whey Isolate) – provides the fastest absorption of protein directly after a workout. Hydrolyzed Whey Isolate is the purest form of whey. Keep in mind that the more refined and therefore more pure the whey is, the more it will cost – Concentrate, Isolate or Hydrolyzed Whey will all benefit your goals, nevertheless. There are a few different forms of casein however in reality it doesn’t matter which form you buy. The reason casein is used at night is it is a slow digesting protein, meaning you won’t receive all the aminos at once, allowing for a gradual release. This is particularly important as the 8-10 hours of sleep will be without food. Taking a casein shake helps to fight off the catabolic effects of this time. Whey protein is the most versatile protein to consume at any time. It will also benefit your goals to look for one with a combination of different forms of whey and casein. This will provide a fast, medium and slow release of amino acids. The problem however is that teenagers often lack variety in the foods they eat, in particular the lack of vegetables in their diet. Accompany that with the increase in processed foods and the reduction of nutrients in the soil that the vegetables grow in and you can often find that as a teen, you may be low on some nutrients. Of course it would be best to start consuming more vegetables and eating a large variety of natural foods but for many that would be hard to swallow, literally. The easy option is to purchase a good multivitamin pill. As a teenager, ensuring you consume an adequate amount of vitamins and minerals will allow the body’s many functions to run smoothly, including muscle growth and fat loss. Many processes of the body involve oxidation. Oxidation reactions can produce free radicals which cause dama ge to cells of the body. This damage can result in disease, immune strength decrease and other negative impacts on the body. Antioxidants are the natural weapon against free radicals. They are found in many natural food sources, such as blueberries, cinnamon and some nuts – however, there are also countless supplements that are now being produced. The ideal ratio of Omega 3 to Omega 6 is 1:1. Yet some people consume a ratio of up to 1:50! This is where fish oil comes in, balancing out that ratio and enabling optimal health. Fish oil can be bought as an oil or in convenient capsule form – for those on the go, those on a budget, who can’t get their hands on constant sources of fish etc. There are no arguments about the athletic benefits of creatine use. It has been proven time and time again to provide benefits to anaerobic fitness, strength and power. It is the most widely used supplement for those participating in power based sports. There are many stories of side effects experienced from the use of creatine ranging from bad acne to kidney failure. However, the consensus seems to be that you will only experience kidney troubles when using creatine if you are predisposed to these issues or you use excessive amounts. For this reason, I would advise you to have kidney tests done before starting creatine and a follow up a few weeks down the track. It sounds like a hassle but it really is the best option to ensure you are not predisposed to kidney problems. Once you get the all clear you won’t have to worry about reaping the amazing benefits of creatine. TOP TIP: Creatine Monohydrate is an incredibly popular supplement worldwide due to it’s effectiveness and price! To make sure that you get the most out of those supplements, make sure you conduct detailed research into them to gain a better understanding of exactly how you can benefit from introducing them into your lifestyle. It will help you out significantly down the road… Enjoy! Creatine Loading Phase | Is It Really Necessary? What Does Creatine Do, And How Does It Work?